Hey everyone—I'm glad to be back! The break paid off. I've been busy but a good kind of busy—the productive type. So far so good—but there's still so much to do. I have my list and I'm just going through it. One step at a time, right? Here you can see where my mind has been off on a different tangent card-wise. I've been interested in going 3D for a while. 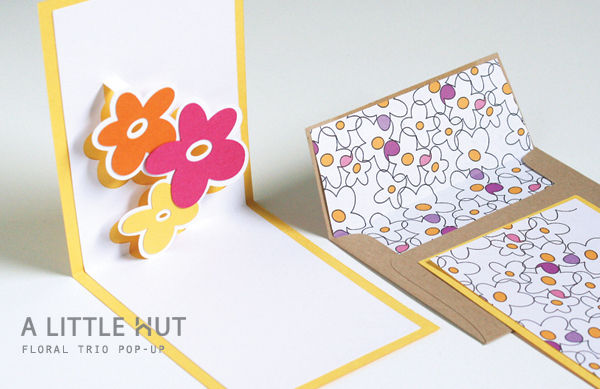 So here I go with a Floral Trio Pop-Up Card—which is now available in the shop! The pattern on the side just came up as a side-effect of everything else I'm working on. 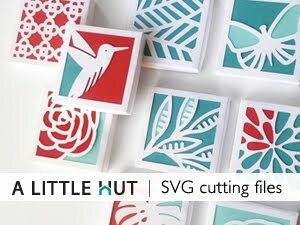 I'm telling you—it's patterns, patterns, everywhere around here. Now to clean up my studio that looks like a bomb hit it and a crew of one of those TV design teams could (and should!) totally take over.